SAIntS Walk of Fame Donations. Are you a member of SAIntS Alumni? Were you a teacher at SAIntS? Do you want to be remembered? Here is your chance! We are creating a Walk of Fame from the science block to the sixth form to celebrate our diamond anniversary. Thank you for donating to SAIntS. All donations will be used entirely to improve the school. This year we are offering you the chance to donate in a special way. 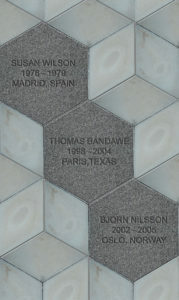 Premium ($300/MWK 220 500) – sponsor a two metre section including a granite block with your name engraved, limited to 20 sponsors. Standard ($100/MWK 73 500) – have your name engraved on a sign at the start of the ‘Walk of Fame’, limited to 50 sponsors. Yrs @ SAIntS + Current Occup.